When a family elder dies, sibling disputes over who gains legal ownership of the family home can potentially tear families apart. The lack of a will in such a scenario is a key factor. While drawing up a will may sound unnecessary to someone who doesn’t have vast sums of money, a will can save everyone years of angst. Drawing up a will with the help of a professional, will detail exactly how the estate should be divided so that there will be no surprises later. Sadly, such situations are not uncommon and, beyond the family strife, the fallout also has the potential to leave the family open to exploitation by fraudsters or by cunning family members, says David Thomson, Senior Legal Advisor at Sanlam Fiduciary Services. Where certain family members have lived with the legal owners before their death and have invested in home improvements from their own pocket, the scenario becomes even more complex. 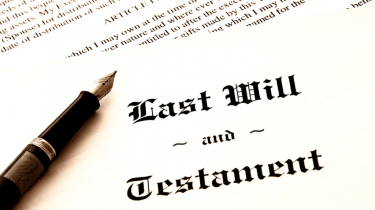 “If the owner dies without a will in place, relatives who have previously lived elsewhere will have a legal claim on the house and will be able to move in,” says Thomson. He says anyone living with an elderly relative in a house that they believe they’re entitled to inherit should discuss this while the property owner is still alive. “It’s never a good thing to assume that you will be rewarded for your commitment.Unfortunately, acts of kindness are not rewarded under the law,” says Thomson. Ultimately it is the homeowner’s decision as to whom they’ll leave the home to. If you are living in the house and believe it should become yours one day, say so – and see how it goes down. A good first step – and it’s never too early for this one – is to have honest family conversations. Everyone should know roughly what everyone else is thinking. Ultimately it is the homeowner’s decision as to whom they’ll leave the home to. If you are living in the house and believe it should become yours one day, say so – and see how it goes down. Very often parents want to split their estates evenly among family members, and you could be left bitterly disappointed. While drawing up a will may sound unnecessary to someone who doesn’t have vast sums of money, a will can save everyone years of angst. Drawing up a will with the help of a professional will detail exactly how the estate should be divided so that there will be no surprises later. Not only can this save a huge administration burden, because winding up an estate without a valid will can be a prolonged exercise spanning a number of years – but it can also avert potential family feuds and heartache. If you are definitely entitled to the house you are living in and there is no dispute – for instance, if you are the only child – you could consider putting the house in your name before the owner passes away. The owner can effectively gift the house to you with no money exchanging hands. There will be a ‘donations’ tax payable, but it is worth considering this route to prevent any complications later on. In the instance where you are living in a house and are paying for upgrades, you should ask for written consent from the owner. This will permit you to claim against the estate for those upgrades after the owner dies, provided you kept records of the expenses. This applies not only to potential heirs, but also to long-term tenants. “Tenants can find themselves in a similar situation if they, for instance, install security bars in an apartment they are renting. In this case, they need to get the owner’s written consent and have it stated that they are entitled to compensation for this improvement,” says Thomson. Thomson says even when doing everything right, you can still come up short if you are investing in a house, but are not completely certain that you’ll get sole ownership or compensation. “Very often, the best thing to do is work towards owning a property of your own where there are no grey areas and where you can be sure that you’ll reap the financial reward of investments made,” he says.